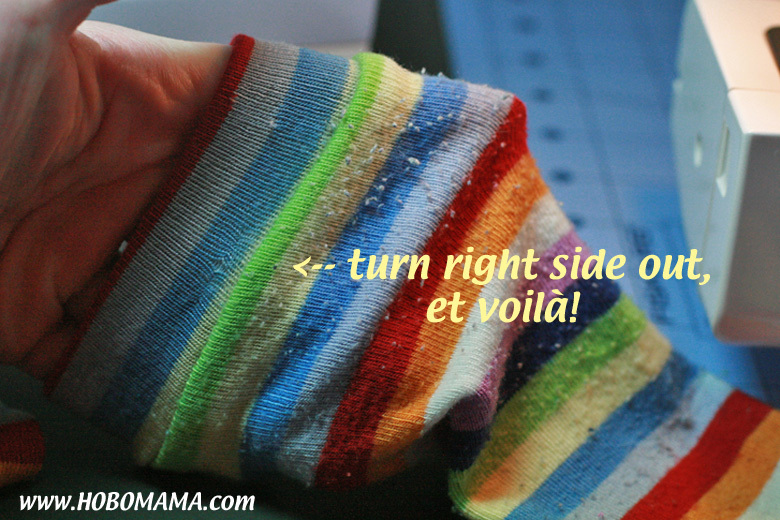 Making your own baby leg warmers is fun and easy! 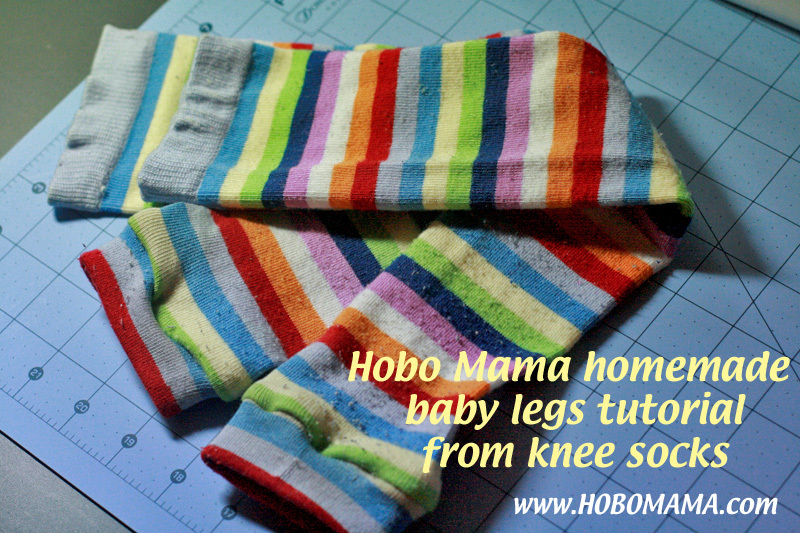 It also can be super cheap yet customized to the tot's or parents' preferences, so baby leggings can make for a sweet homemade holiday gift. All you need is a pair of women's knee socks (the bolder the pattern, the better, in my opinion! 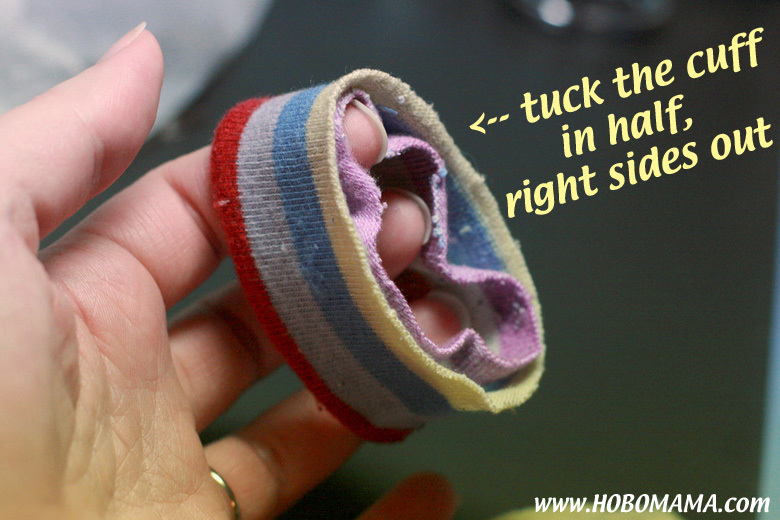 ), a bit of thread and sewing know-how (but seriously not much at all! ), and about ten minutes. Cover those bared shins when pants hike up through babywearing or baby carrying. Protect your crawler's little knees. Streamline elimination communication and diaper changes by wearing just baby leggings and a shirt. 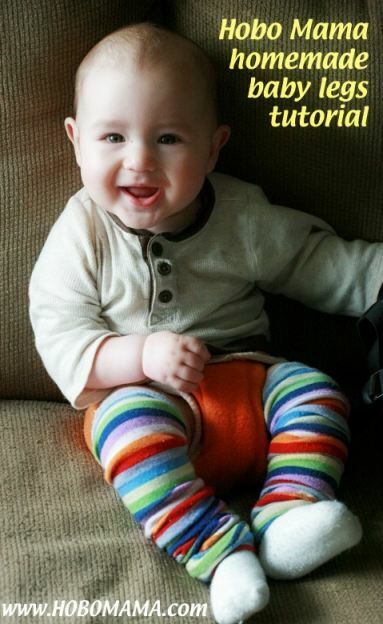 Punch up your baby's wardrobe with bright colors and fun patterns. Use them as seasonal transitions to add a light layer under shorts or short sleeves. Speaking of which, they work great as arm warmers, too, even for older kids and adults! Women's knee socks. Men's are fine, too, though women's styles are usually more fun. 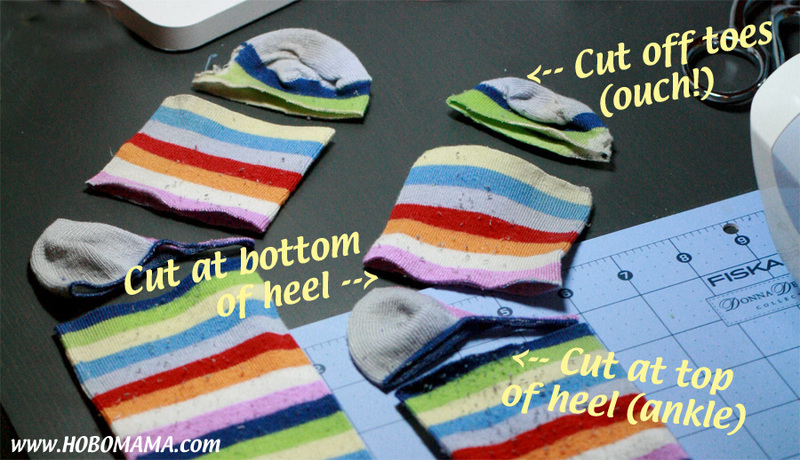 I've made lovely baby legs from my old worn-out socks, since they tend to wear out in the pieces you'll be cutting off anyway (toes and heels). You can also find thrillingly cheap knee socks in department and discount stores, often themed for whatever holiday or season is upon us (and on clearance just after the fact, if you want to snap up some a year in advance). Thrift stores are another place to peek. I've made Alrik stripey orange-and-black leg warmers for Halloween and have a pair of googly-eyed reindeer socks with his name on it! Cut off the toes and heels. 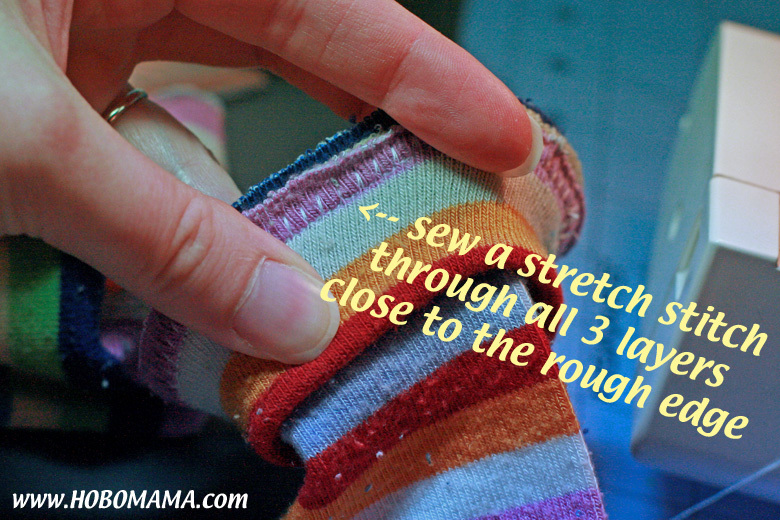 Save the rest of the foot portion for the bottom cuff. The original top cuffs and length of the knee socks stay put. 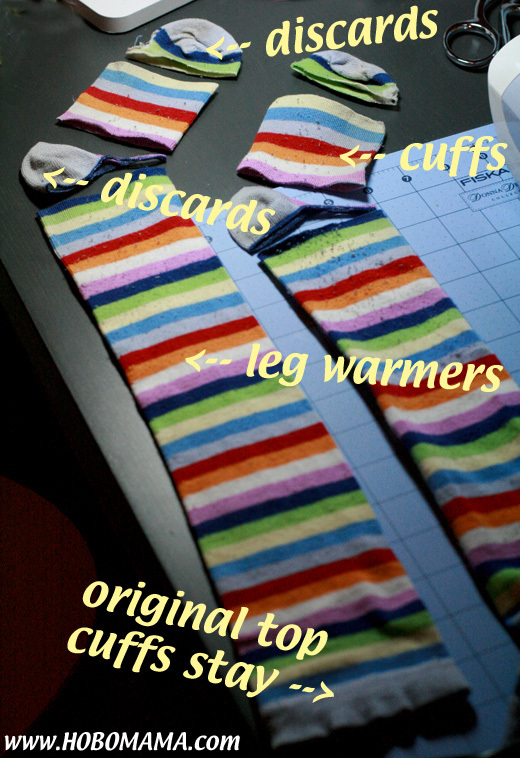 If your socks have a strong pattern like stripes, try to cut evenly along them. These were a pair of my favorite socks. I bought them in Cornwall, and the tag promised me they were "The Most Stripy Socks Ever!!" I was sold, and apparently loved them too much. I'm glad to give them second life! 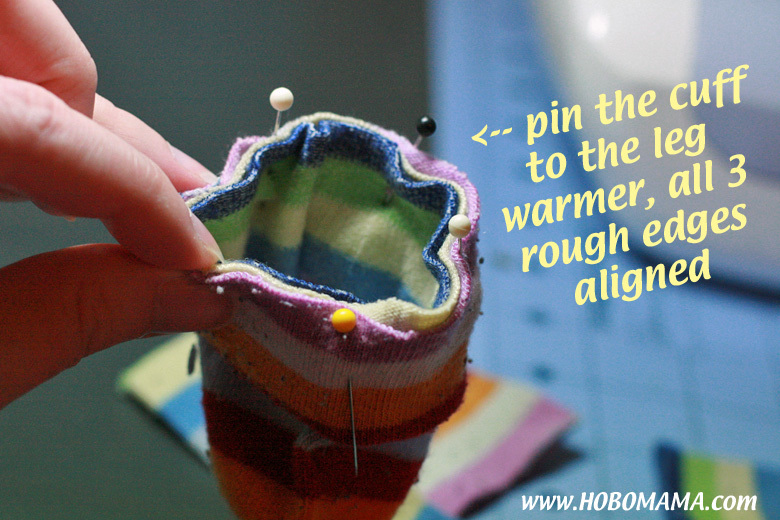 Turn the foot portion into a cuff, right sides out (wrong sides together). Some socks don't have a strong inside and outside, but be sure the outsides are showing if yours do. 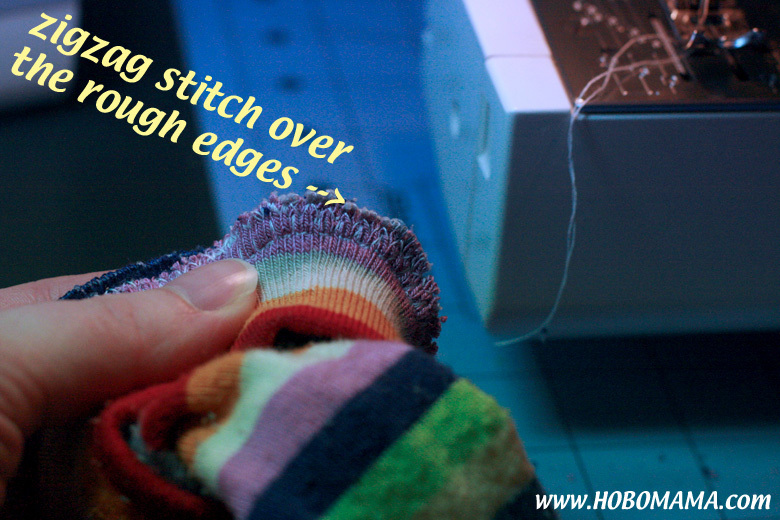 If your sewing machine doesn't have a stretch stitch, use a zigzag. Zigzag the raw edges. I don't consider this mandatory, but I think it makes the interior neater and helps keep the sewing stronger through wash and wear. Turn it right side out. Tug it all into shape and see what you think. 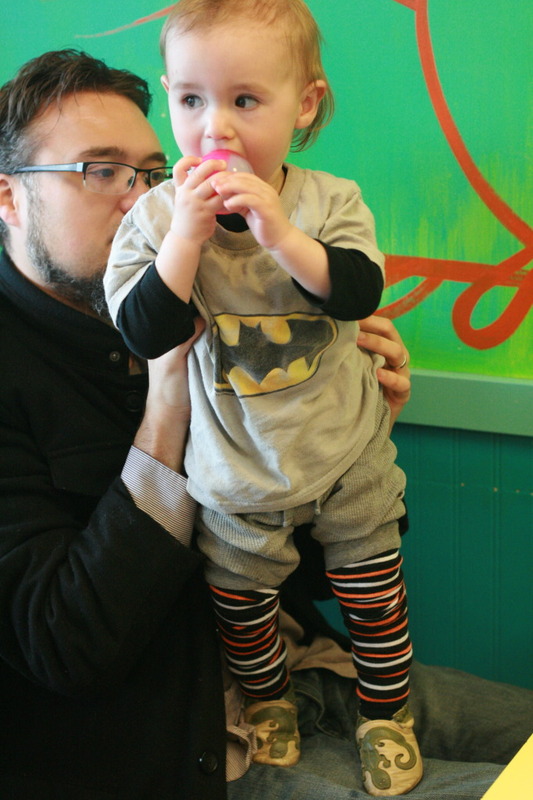 Here are my Halloween stylings on Alrik as a toddler. Here are my old stripeys on Alrik at 6 months. Aw! Remember when he had zero hair? Not feeling crafty? Not to worry. You can always purchase adorable styles as well! My favorite place to shop? The original BabyLegs, which I cannot stop collecting. They're addictive! 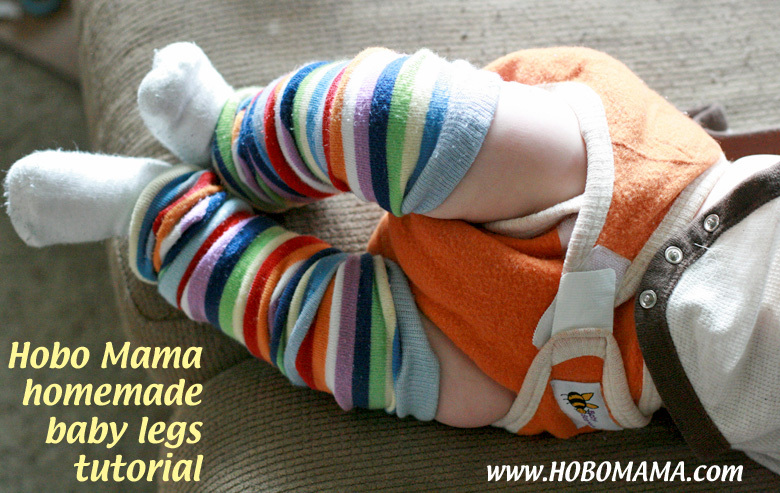 Do your little ones wear baby leg warmers? Have you made any yourself? Nicely explained! I linked to this in my big list of ways to reuse things. 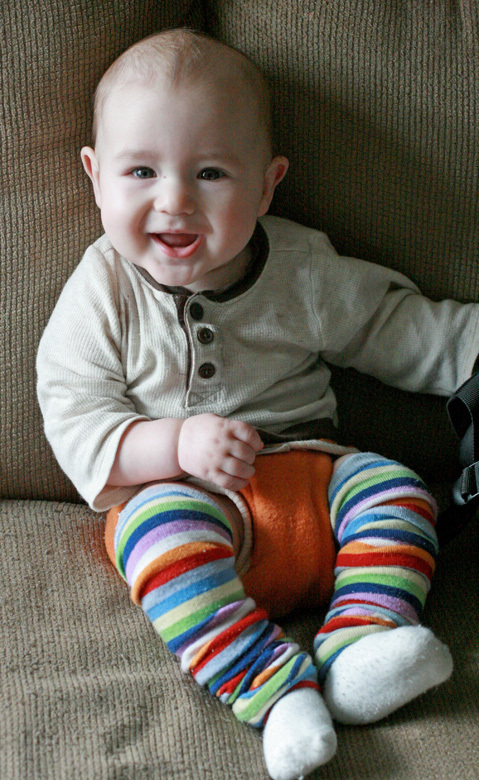 My son didn't wear leg-warmers as a baby, primarily because my mom (a veteran baby-wearer) made him a pair of extra-long fleece pants to wear in the sling, but also because he's just a warm sort of person. I envy him! Great tutorial, thanks! I love how, with well-worn socks, the baby legs look all broken in and comfy already! Oh man Monkey LIVES in baby legs... I'm totally addicted. All the doctors in the hospital refer to him as the boy with the leg warmers, and we always get comments when we go out! I think they're super fun and adorable, but mainly I'm too lazy to deal with taking pants on and off! And with baby legs I don't have to. Best thing ever. Just made a bunch of these for baby shower gifts. I bought a multi-pack online for cheap and made from those. They came out AWESOME! 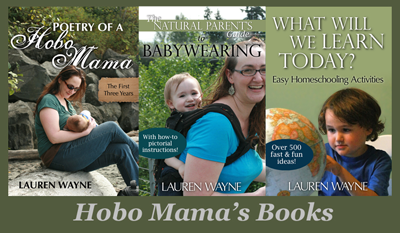 I paid for pre-made for my first son, reused with my daughter, and am using them again with my second son. These are so great with cloth diapers too! I can't tell you how great it is that I can pay $4/pair not $8+ !! Thanks for the tutorial! I use these as an aid during potty-training. It is SO much faster to just pull down a pair of undies without pants getting in the way! I am adding your post link to my blog post about potty training- you explain how to make the leggings very well! Thanks for the tutorial! Just made a bunch for a baby shower! !